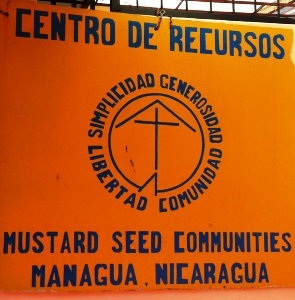 In 1999 Mustard Seed Communities expanded to Nicaragua to meet the needs of children with mental and physical disabilities, many of whom were abandoned. In cooperation with the local organizations, land was identified in a small neighborhood just outside of Managua and construction of a residential home began. 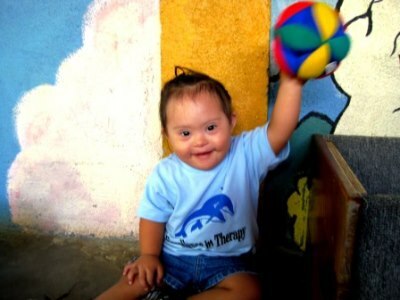 MSC Nicaragua has since expanded to include a second home for children with disabilities in the town of Diriamba. MSC Nicaragua also assists women and families living in impoverished areas of Managua through the Christ in the Garbage Ministries program, which oversees the distribution of food packages and maintains a Resource Center for adult women to learn vocational skills and gain economic independence. Hogar Belen Managua is located in San Antonio Sur and began operations in 2000. As the first location of MSC Nicaragua, Hogar Belen Managua provides residential accommodation and care for 30 children ranging in age from six months to sixteen years. The children have disabilities which include Down syndrome, microcephaly, cerebral palsy, hydrocephaly, autism, and infantile cerebral paralysis. MSC Nicaragua has an occupational therapist on staff and the children receive a number of services such as horse therapy, hydrotherapy, interaction therapy, and typical school classes depending on their needs and abilities. In 2006, Mustard Seed Communities Nicaragua purchased a plot of land in the town of Diriamba to open a second home for children with disabilities. Located an hour outside of Managua, Hogar Belen Diriamba provides two types of accommodations for our residents. Those who are able to live semi independently have a cottage-style setting while the residents who need more care and attention live in a dorm-style setting. This provides an important degree of flexibility and allows us to cater to the unique needs of the residents we serve. Mustard Seed Communities also completed the construction of a Specialized Recreation Center in Diriamba. This type of building is crucial to the development of our children. Play therapy is used to help children with disabilities to develop a sense of strength and competency. It involves intensive play, coordination, adaptations, and motor skill activities. Additionally, a chapel with a capacity of 150 people is on site to serve as a place of spiritual growth for our children and the surrounding community of Diriamba. As part of MSC’s vision to make each country self-sustainable, Hogar Belen Diriamba has become a site of agricultural development. The planting and animal husbandry initiatives include broiler chickens and regional crops. The meat and produce currently provide for in-house consumption to meet the nutritional needs of our residents in Diriamba and Managua. In addition to the nutritional benefits of on-site farming, it also provides a degree of empowerment and responsibility for the residents. They have been involved in various stages of the sustainable agriculture program from clearing land to planting vegetables. 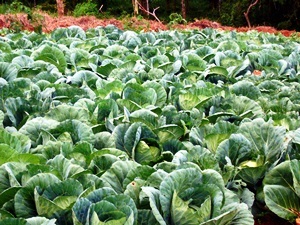 As the farming program grows, surplus produce will eventually be sold in the domestic market for income generation. The weather conditions in Diriamba present some challenges to this initiative, though we have had success with carrots, beans, sweet potatoes, and squash. MSC Nicaragua staff is currently researching additional crops and techniques that may prove more fruitful in the Diriamba climate. Currently, some crafts and household items are sold on-site as another source of income to defray operating costs of the home. The Christ in the Garbage Ministries (CIGM) program began in response to a troubling reality in the urban centers nearest our homes in Nicaragua and Dominican Republic. Communities with nowhere else to turn became dependent on a massive urban landfill for their livelihood. CIGM was started to combat the grave issues of poverty and malnutrition in the landfill formerly known as La Chureca. La Chureca has ceased to exist with the privatization of the dump and the areas surrounding it. However, MSC maintains the essence of CIGM programming, delivering food packages to the areas of greatest need. Additionally, CIGM Nicaragua teaches marketable skills to women, empowering them to break away from poverty and create a better life for themselves and their families. In 2006, CIGM opened a sewing center near the former landfill to offer women a viable way to achieve economic independence. After initial success, the outreach initiative evolved into the present-day Resource Center (Centro de Recursos). The center now offers more comprehensive programming including pastry-making classes, crochet training, English language lessons, mathematics classes, monthly spiritual reflection, and daycare for children while their mothers are in class. Solving the entrenched issues of economic strife and lack of access to services in this area will require years of assistance and development work. With the existence of CIGM, women learn skills that generate income and, most importantly, give them hope. Read more about the history of Christ in the Garbage Ministries.